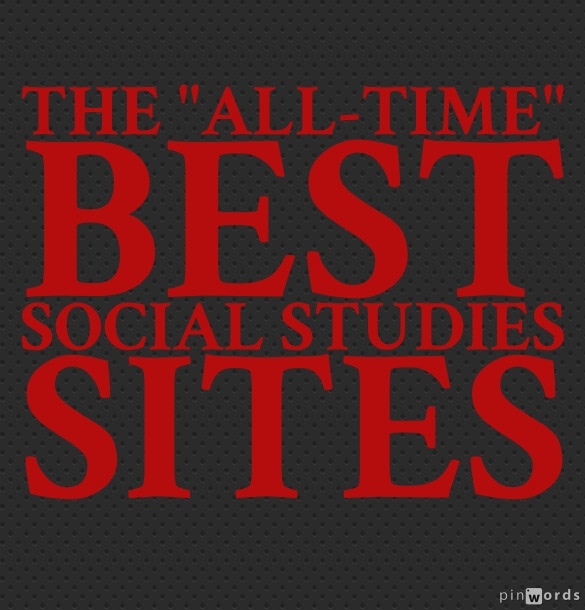 I’ve been posting annual lists of The Best Social Studies Sites for a number of years. I thought it would be useful for readers, my students, and me to review them all and identify my choices for the “all-time” best ones. I’ve begun creating a number of these “All-Time” Best list, with The “All-Time” Best Ways To Create Online Content Easily & Quickly being the first ; The “All-Time” Best Web 2.0 Applications For Education second; The “All-Time” Best Videos For Educators third; and The “All-Time” Best Online Learning Games was the fourth one. I’ve previously posted about Trulia’s visualizations showing information (crime, home prices) for some cities in the United States. Now, they have dramatically expanded the information they share (flooding and earthquake hazards, schools, etc.) and the number of neighborhoods they cover. In fact, it seems they do it for just about everywhere in the U.S., but perhaps I’m overstating it. The Great Divide: Global income inequality and its cost is a project by a group called The Global Post, done in partnership with The Pulitzer Center with support from The Ford Foundation. Income inequality is surging, and there are few countries where it is rising faster than the United States. The distance between rich and poor is greater in America than nearly all other developed countries, making the US a leader in a trend that economists warn has dire consequences. GlobalPost sets out on a reporting journey to get at the ‘ground truth’ of inequality through the lenses of education, race, immigration, health care, government, labor and natural resources. The hope is to hold a mirror up to the US to see how it compares to countries around the world. TIME Magazine has an ongoing series of short TIME Explains videos on current events. Here’s a link to most of them. The Reading Like a Historian curriculum engages students in historical inquiry. Each lesson revolves around a central historical question and features sets of primary documents designed for groups of students with diverse reading skills and abilities. This curriculum teaches students how to investigate historical questions by employing reading strategies such as sourcing, contextualizing, corroborating, and close reading. Instead of memorizing historical facts, students evaluate the trustworthiness of multiple perspectives on historical issues. They learn to make historical claims backed by documentary evidence. The Google Cultural Institute has multimedia online exhibits on a variety of historical topics, including apartheid in South Africa and the Holocaust. It’s really quite an impressive site. The World Wonders Project enables you to discover 132 historic sites from 18 countries, including Stonehenge, the archaeological areas of Pompeii and the ancient Kyoto temples. In addition to man-made sites, you can explore natural places: wander the sandy dunes of Australia’s Shark Bay or gaze up at the rock domes of Yosemite National Park in California. The Smithsonian, in conjunction with U.S. Citizenship and Immigration Services, created Preparing For The Oath. Not only is it now probably the best site out there for preparing people to take the U.S. Citizenship exam, it’s also just a great site to learn about U.S. History. Audio is available to support all the text, and it includes a practice exam. Stanford has created what I suspect is one of the coolest things you’re going to see today — a Google Maps-like tool that lets you map the fastest and cheapest ways (by donkey is one option) and routes to travel (including how the time of the year affects it) in the ancient Roman World. You can read a very useful review of the tool, called Orbis, here. They released a new version just this month. Mapping America: Every City, Every Block is an amazing interactive from The New York Times that displays U.S. Census data from…everywhere. The New York Times Learning Network also has a simple lesson plan related to it. Connecting the Dots: Interpreting U.S. Census Data is a New York Times Learning Network lesson. A History of Poverty is an animated world map showing where poverty (and prosperity) have been most present over the past two hundred years. You can narrow it down by continent or county, too. It’s from the Christian Aid charity. ViewChange.Org has some pretty amazing short videos from around the world. This is how it describes itself: Using the power of video to tell stories about real people and progress in global development. Believe me, that doesn’t even begin to tell you what’s there. Pearson has relatively new U.S. History textbooks and one on Ancient Civilizations. Big deal, right? Well, I don’t really care about the paperbound versions, but they has made the book’s online companion sites freely available. They both have some nice interactives. Glencoe offers many free resources to support all their social studies textbooks. They’re useful even if you don’t use their books, though, and they’re freely available. 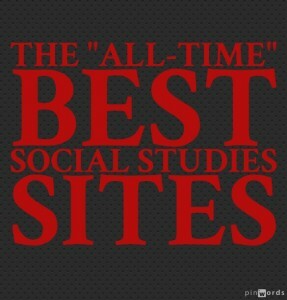 You can start off at their main Social Studies site or at their main site for all their textbooks. From there, it’s easy to navigate to their U.S. History, World History and Geography books. They all have links to videos, “in-motion animations” like this one, interactive maps like this (I especially like these maps because they offer audio support for the text), and different games (I especially like their categorization activities). The teacher signs-up and is give a log-in name for all the students in a school. It doesn’t appear that students need their own individual log-in because they have to type in their name before beginning any activity. Let me tell you, that will make using this site immeasurably easy — students won’t have to remember — or forget — individual passwords! Numbeo shows the cost-of-living in just about every country in the world, and many cities in the United States. The BBC’s “A History Of The World.” is a neat interactive timeline display of historical objects with images and commentary. Not only is it an accessible and engaging way to learn more about world history, but after a quick site registration you can contribute your own historical object choice to the collection and write about it. Zinn Education Project: Teaching a People’s History is a collaboration between Rethinking Schools and Teaching for Change! It’s an excellent resource for social studies educators. Culture Crossing is a unique resource for information about different countries. It provides some basic demographics, but it also shares details about communication style, dress, gestures, etc. It’s unlike any other source of information about countries that’s on the web. Here’s a companion site to a textbook by Pearson titled World History: Connections To Today. If you go to each chapter, you’ll find what they call a History and Geography Interactive. Most of these short slideshows provide text support for the narration, as well as good graphics. Here is another companion site to a textbook by Pearson called America: History of Our Nation. If you use the drop-down menu, each chapter has excellent multimedia related to that era. I particularly like the link to “exploring each chapter’s essential question.” When you click on it, you’re taken to a short slideshow that provides audio support for the text. “History Snapshots” is a series from Pearson. These short slideshows, which include accessible text, support the study of United States History. McDougal Littell’s Class Zone is one of my favorite sites. It has animated maps, online activities, animations — all with text support for audio. Just click on a subject and a state, and you’ll be amazed at what they offer online. Holt, Rinehart Winston Social Studies Home Page has great free online activities to support their textbooks. Here are two examples. Click on any of the textbooks, then click on any of the chapters, and then go to “Interactive Features” to see the best online exercises. Many of their textbooks also have great multilingual features. Awesome Stories is a favorite of many teachers, and provides accessible texts for countless topics. HippoCampus has great (and complete) online and accessible textbooks for many subjects, including History and Government. Their resources include extraordinary multimedia presentations. You can read more about it here. Teaching Tolerance, the organization justifiably well-known for developing very good social-justice oriented teaching resources, has unveiled: “Perspectives for a Diverse America… a literacy-based curriculum that marries anti-bias social justice content with the rigor of the Common Core State Standards.” It’s a very ambitious site, and I think most teachers will find the highlight to be 300 great texts, often from larger works, all set-up to print out and copy for students. Those are a gold mine! I hate to say it, but I generally found the site’s set-up to be fairly convoluted and confusing to navigate, though others may very well feel differently. But, whether you agree with me or not on that, I’m sure you’re going to agree that the texts are a wonderful resource.